After reading recently about how 3 members of an Australian family, all in their 60’s, had died from suspected carbon monoxide poisoning whilst cleaning a cement water tank, and how a British Airways flight bound for San Francisco was diverted to Vancouver, Canada last year after suspected toxic fumes filled the cabin affecting the flight crew, I thought I would investigate toxic fumes in the workplace and their effects on our health. Under the wrong circumstances not recognising the risks could quickly result in a serious incident such as the above with consequences ranging from harmful to fatal. Knowing what to look for and how to recognise a toxic hazard early could be a life saver, being essential knowledge for anyone working in close proximity to any of the following. Many industrial processes can generate harmful fumes, vapours or dusts that can enter the body via the respiratory tract causing a variety of different health problems. Firstly, I looked at carbon monoxide, seeing as this is constantly in the news and was the inspiration for looking into toxic fumes in the first place. The gas itself is odourless, tasteless and colourless so it’s difficult to detect unaided. It consists of one carbon atom and one oxygen atom and in concentrations above 100 parts per million (PPM) can be dangerous to human health. CO is a product of incomplete combustion of organic matter. We hear all the time of how someone has succumbed to carbon monoxide poisoning due to wrongly or badly maintained\installed heating systems or blocked flues and the importance of having CO testers in the home. CO is also a dominant part of vehicle exhaust fumes, again, from the incomplete combustion of the fuel used. Poisoning from vehicles can occur if they are run inside closed garages that don’t have extraction, or when fumes leaking from a defective exhaust make it inside the vehicle. 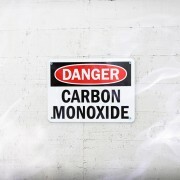 So, what are the recognisable symptoms or effects of carbon monoxide poisoning? Symptoms of mild acute poisoning include light headedness, confusion, headaches, feeling like the world is spinning, flu type symptoms, dizziness and vomiting, among others. Coincidentally these were the symptoms described by the crew of the aforementioned British Airways flight and my reason for mentioning it. Carbon Monoxide probably warrants an entire blog to itself (and many books and scientific papers), however I was investigating toxic fumes as a whole so I will move on. Staying temporarily with carbon based gasses, next up is a molecule that contains one carbon and two oxygens and is inventively named carbon dioxide. This is also the gas that makes your drinks fizzy. Carbon Dioxide is about one and a half times as heavy as air, meaning it ‘sinks’ in the presence of regular breathable air. 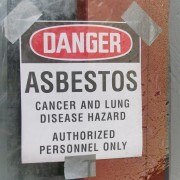 It also displaces regular breathable air making it a danger in confined spaces and enclosed areas. It can result in impairment in performance during prolonged exposure at 3% and at concentrations of 10% it can cause unconsciousness in under a minute. So either full face air fed PPE or adequate ventilation if working in such areas would be recommended. OK, so lets get away from carbon. Respiratory sensitisers and asthmagens are substances that can cause an allergic reaction to some people who are exposed to certain substances in the workplace. A common example of this would be soldering. Under COSHH 2002 rosin based solder flux fume (RBSFF) is classed as a hazardous substance it has both a “sen” (capable of causing occupational asthma) and “skin” (capable of skin sensitisation) assignations and brings me nicely to them having WEL’s (Workplace Exposure Limits). WEL’s (Workplace Exposure Limits) are the legal limits of a concentration of a given substance in workplace air over time (TWA (Time Weighted Average)). There is a publication by the Health and Safety Executive known as EH40 which can be downloaded free from http://www.hse.gov.uk/pubns/books/eh40.htm that contains the list of workplace exposure limits for use with the Control of Substances Hazardous to Health Regulations (COSHH). This document digs into the subject of WEL’s much more deeply than can be discussed here. 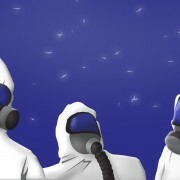 It also gives the acceptable concentrations of ‘chemicals hazardous to health’ in the air over an 8 hour period (TWA). Looking into this subject also made me look at the meaning of the word ‘fumes’. The word generally means gasses and vapours. Gasses I have touched upon with carbon dioxide and carbon monoxide, however vapours tend to be from chemicals and compounds that evaporate at room temperature such as petrol (or gasoline for our American friends). Fumes in this context can also refer to dusts, mists and smoke, as they share a very similar definition, the definition being ‘tiny solid particles which are light enough to float in the air’ vapours tend to be the same but are ,tiny liquid particles,. They can all be breathed in. Metal fume fever has a few different names. It has been referred to as ‘brass founders ague’, ‘brass shakes’, ‘zinc shakes’, ‘galvie flu’, ‘metal dust fever’ and ‘Monday morning fever’, among others. The symptoms of metal fume fever also seem to be related to flu type symptoms including fever, chills, nausea, headache, fatigue, muscle aches, lack of appetite, shortness of breath, pneumonia, chest pain, a change in blood pressure and coughing. A sweet or metallic taste in the mouth and sore throats have also been reported. The flu like symptoms generally pass within 24-48 hours in milder cases. In more severe cases the symptoms may also include a sensation of burning in the body, collapse, convulsions, yellowing of the eyes or skin, vomiting, rash and diarrhoea. I touched briefly on the hazards from soldering, this example dealt with the fumes from the flux rather than the metals in the solder itself. However, soldering and brazing can also cause metal fume poisoning from lead, zinc, copper, or cadmium in the filler metal. In extreme cases, cadmium (present in some older silver solder alloys) can cause loss of consciousness within a matter of minutes. One of the fumes or vapours I haven’t covered is one that we may not know, but are all familiar with. Thinking back to a character written about by Lewis Carroll in Alices Adventures in Wonderland. 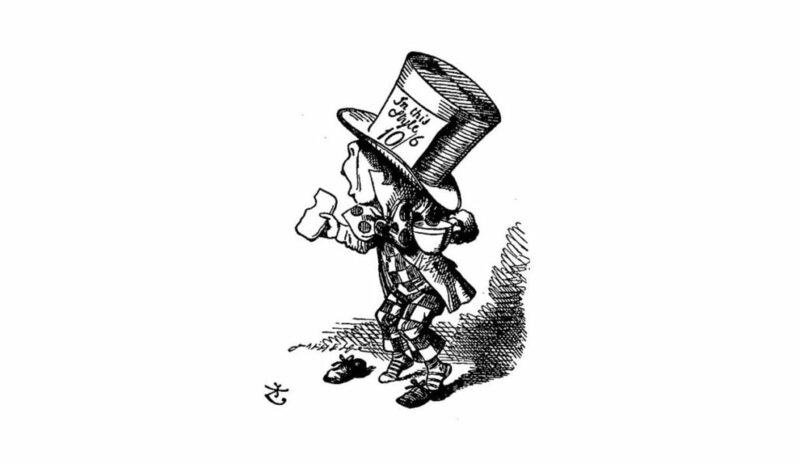 The character is of course the ‘Mad Hatter’. In the 19th century, inorganic mercury in the form of mercuric nitrate was used in the manufacture of felt for hats. The process known as ‘carroting’ separated the furs of small animals from the skin and matted them together. An orange-coloured solution (hence the term ‘carroting’) containing mercuric nitrate was used as a smoothing agent. The felt was made into large cones and shrunk in boiling water before drying; a slow reaction released volatile free mercury from the treated felts. Bearing in mind that the hatters (known as Milliners) often worked in confined areas with the impregnated felt, exposure on a daily basis was inevitable. This process is thought to have been adopted from the French who were using this as early as the seventeenth century during a time when the dangers of using mercury were already known. Hatmaking was considered a dangerous occupation due to this. 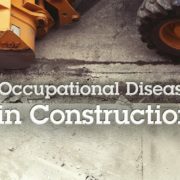 Effects of chronic occupational exposure for Milliners included psychotic reactions such as delirium, hallucinations, loss of memory and suicidal tendencies. Tremors in the hands spreading to the eyelids, lips and tongue were also experienced. And to close, this is how the phrase ‘as Mad as a Hatter’ originated. They weren’t mad, they were quite ill, all due to toxic fumes in the workplace. They ignored the dangers but we have no such excuses. 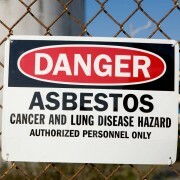 Thanks to this historical hindsight we should recognise the risks and quell the health hazards before exposure occurs. 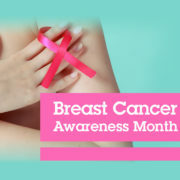 If you would like further details on exposure hazards in industry I recently wrote a blog regarding Workplace Cancers to coincide with World Cancer Day 2017 that contains further information on cancer forming dusts in the workplace including silica and asbestos.